The view of the Strait of Hormuz (pictured left) from the Musandam Peninsula is amazing. Let's face it - it's easier for the Oilholic to check it out here from the Omani side, rather than the Iranian side as the latter is not the most welcoming place for bloggers in general 'crude' or 'refined'. Not that yours truly has as of yet requested the Islamic Republic to issue him a visa. As the world frets about Egyptian problems affecting oil tanker (and other) traffic from the Suez Canal, the Omanis are doing their utmost to mitigate one other potential threat – the one from Iran to close the Strait to oil traffic, should it be provoked by the West. The country is investing heavily in improvements and new build of its ports infrastructure. The idea is to challenge nearby Dubai's dominance as a port hub and that too on the 'wrong' side of the Strait and prone to the Iran effect. Were you to look at a regional map, you'd find that all four of Oman's sea-port hubs/developments currently seeing investment (Muscat, Sohar, Salalah and lately Duqm) won't be affected in the highly unlikely event of the Strait becoming strife and blockade marred. Of the four ports named above - Duqm, an erstwhile fishing village rather than a port, starts afresh complete with a new refinery, petrochemical plant, beachfront hotels and well, housing too. Billions are being invested in Duqm, with a figure nearing US$2 billion-plus being touted around. Mitigating the Iranian threat is not foremost on Omani minds. This country has always maintained a balance between the West and Iran. In fact, the Sultan of Oman Qaboos bin Said Al Said is currently on a private visit to Iran and has announced fresh oil & gas sector co-operation between the two countries. However, diversifying Oman's economy away from oil & gas most certainly is on the nation's policy planning cards. Aside from sea-ports, the government also wants Muscat International airport to rival Abu Dhabi and Dubai as an air transit point and aviation hub. The government's airport operator, Oman Airports Management, plans to award a dozen contracts this year and in 2014 to upgrade airport facilities in the capital city of Muscat (See above, click image to enlarge - for the current Muscat Airport terminal, ongoing construction work for the new one and an artist's impression of what it would look like in the future) along with Salalah. Additionally, the flag carrier Oman Air has ordered $2.5 billion worth of swanky new planes, according to a spokesperson. However, the Oman government has made it abundantly clear that it wants to maintain the country's rustic charm, charcter and its points of differentiation from regional neighbours. So there won't be a mad Dubai-styled commercial rush. Afterall, standing out from the crowd is a unique selling point - so why ditch it? The Oilholic is certainly sold, blown away by the beauty of Musandam Peninsula and his first evening in Khasab before heading back to Muscat. It's been an amazing experience from spotting oil tankers to mountain goats, soaking the sunshine to enjoying the mountainous views and beaches that are natural and not made of imported sand as is the case with Dubai. Even the Emiratis are suitably impressed, vindicated by the fact that UAE nationals are the biggest overseas buyers of Omani residential real estate, according to locals here. Officially speaking, Oman's Ministry of Housing said that of the 3,376 property sale deeds distributed to GCC nationals last year, Emirati buyers accounted for 1,694 titles. Speaking of Emiratis buying things, Etihad Airways' sudden acquisition of a 49% stake in Serbia’s JAT and the latter's subsequent rebranding into Air Serbia has a strange ring to it. It's not that Etihad can’t make acquisitions and buy stakes! In fact, far from it – the airline already has stakes in Virgin Australia, Air Berlin, Aer Lingus, Air Seychelles and Jet Airways. It's just that Abu Dhabi Crown Prince Sheikh Mohammed Bin Zayed Bin Sultan Al Nahyan has of late been professing his love for the Balkan country. The Emirate's investment vehicle Mubadala is also actively sniffing around all things Serbian from agricultural assets to hotels. However, its the timing the Oilholic is puzzled about and nothing else! For the record, Eithad denies any political pressure and or that either forays by His Majesty or the airline are related. That's all from the Musandam Peninsula for the moment folks. Keep reading, keep it 'crude'! © Gaurav Sharma 2013. 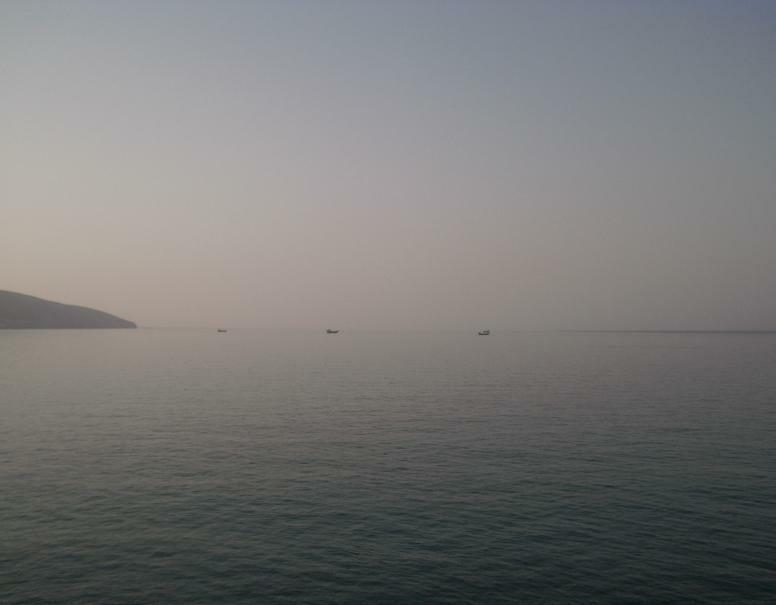 Photo 1: Straight of Hormuz, Khasab, Musandam Peninsula, Oman. Photo 2: Muscat airport collage (Left to right – Muscat Airport Terminal, Ongoing construction work at Muscat Airport, Artist’s impression of new Muscat airport) © Gaurav Sharma, August, 2013.